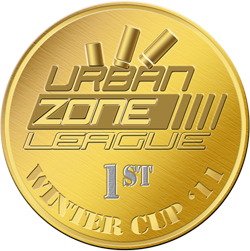 The winter break is over and the new year took off to an active start as we successfully completed one more Winter Cup at Urban-Zone. Cool to see all the people ready to play again. We had a bunch of very active and some less active teams this cup, but it was nice to see how some not that well-known teams fought their way to the winner's podium. This season the first three places were taken by teams new to the positions and we would all like to say: Good work, guys and girls! 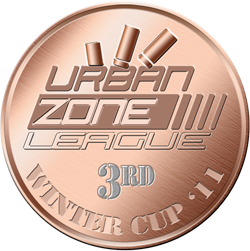 There was also some curious stuff and some cheaters in the cup - as usual - but they are past now and it is time to look in the future and the new league season. Our congratulations go not only to the winners but also to the other 60 teams that played in the cup. We hope that you enjoyed yourselves and are fresh and ready for some proper action. For your information, the Leagues are going to open their doors for signup tomorrow! So go and grab your spot - we can't wait to see you back there! congratz to the winning clans and all the competitors hope you had a good cup? Thank you guys and thanks for playing with us. 54 matches .. puh i feel a bit exhausted now. I would like to thank the-spiki, slash and subz which made it possible keep track of all the matches and organized the whole stuff for b00bs. And i would like to see that +OC+ wins an Sportsmanshipaward for thier always nice and fairplay. (We threated you guys with Uptown alot we knew. But thanks for playing with us). and i have to add that we gave all our best to beat you guys! Thanks a lot to all the other clans who we beat or we got beaten. It was nearly all the time very funny and pure gaming. I'm not sure of what you are implying here Butch... We played almost every opponents in this league. GG to all. And good job to all admins for catching cheaters. I'm glad we won. We are a family working and improving together and not one of those clan that got his roster increased by 3 time just for the Wintercup, random players gathering... my teammates thanked OC but I'd also like to thank dyNasty and 7s, the two/three matches we did vs you were among the best in this cup and you guys are gentlemen. I look forward to the regular season now. See you all. You are correct. This was not the place, and more over it was actually not necessary to flame. I'm revoking what I said here and deleting the previous comments. This is not a place to flame eachother. Handle your problems in private. Thanks! uhm i am sorry if I offended someone. I din't ment to. Wrote the post in the morning without my coffee (< BAAAAAAD IDEA ) and didn't realise how harsh it sounded. we played vs b00bs 2 times as well and I liked the games. U just made the best outta this system thats all i am saying. U won this game cuz u played the most matches so u deserve it and btw u won quite a bit of them! So sorry I ment no harm. and as I said congrats for winning. p.s.I wasn't in wayne?! 2 years ago so I don't know anything about that. 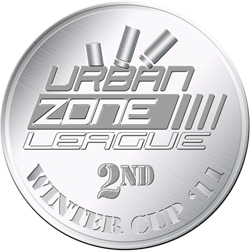 good game to u all, wintercup was awesome! The cup was some nice practice indeed. Just sucked when some of our opponents didn't upload their demos. Anyway, congrats to b00bs for getting so many points.